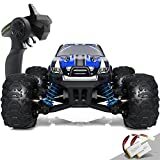 There are a lot of remote control cars on the market, and whether you are looking for a small electric car as a gift for the kids in your life or a nitro RC car for yourself, there is one out there for you. But choosing between hundreds of options, from entry level toys to big, adult, driving machines, can be tough. 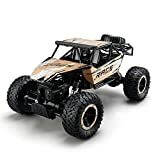 To that end, we have put together this RC car buying guide, including all the information to make a smart buying choice, quicker. Electric RC Cars: Electric cars require much less maintenance and are cheaper to run and buy. Often with rechargeable batteries, they are best suited for at-home rides. Nitro RC Cars: Nitro car drivers enjoy longer rides and more authentic sounds. 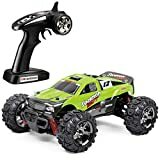 Best suited for the outdoors, these high end cars with take your RC car hobby to the next level. Build-Your-Own RC Cars: These cars come in kits and allow users to build and adapt RC cars to the specs they want. Ideal for the hobbyist, these cars offer good value for money and a lot more flexibility. 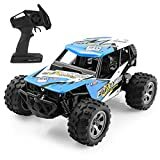 Ready-To-Run RC Cars: Ready to ride as soon as they are out of the box, these RC cars require no assembly and are great for kids or riders who don’t want the hassle and additional time of putting the car together themselves. On Road RC Cars: Faster and smoother, these cars have suspensions built for flat road and paving surfaces. Great for racing around the home or in parking lots. 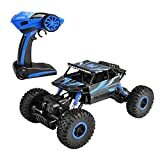 Off Road RC Cars: Build to handle off-road terrain like dirt tracks and rocky hills, these cars can be taken on adventure rides and off the beaten track. Street RC Cars: Fast, these are the most popular at-home RC cars. Packing power, they can speed around the backyard with ease. Drift RC Cars: These are built like street cars but include tires that are slicker for sliding around turns. A great RC car choice to perfect your fast and furious drifting skills. 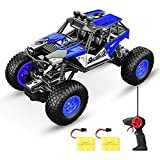 Buggy RC Cars: If you can’t decide between an on-road or an off-road model, then the buggy is for you. Fast enough on road to take on a slower street car but still able to handle rough terrains. Truggy RC Cars: These off-road masters have the frame of a buggy with big truck tires. Almost as fast as a buggy on road and faster than a buggy off road, these cars are a lot of fun for all surfaces. Versatility: RC cars that can handle a variety of different surfaces are reviewed much higher by consumers. Cars that include drift and grip tires are particularly noted, with owners appreciating the ability to switch between being able to drift and normal street racing. 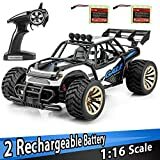 Battery: Battery life is a top concern for online reviewers, showing appreciation for RC cars that have rechargeable batteries that can hold charges for longer. 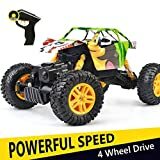 Cars with batteries that take a long time to charge, and then only allow for a few minutes of play, do not get good reviews. If this is a concern for you, compare expected battery life to ensure you buy a car that meets your riding needs. 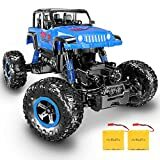 Durability: RC cars need to be built to withstand some bumps and accidents, especially for kids and beginners who are still getting the hang of driving their new car. Choosing a reputable brand with good quality reviews will add a longer lifespan to your car. Drifting: Drifting is a difficult style to master at first and therefore RC car buyers who opted for cars with drift-only tires with limited controls comment that it is a struggle to learn, especially for beginners and kids. However, intermediate drivers who chose drift-only cars to practice find drifting fun. Choose a car based on the driver’s skill level to ensure driving will be fun. 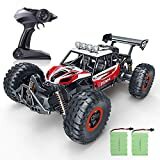 Are you buying an RC car as a toy gift or for a growing hobby? Toys cars are more cost effective and easier to maintain. Hobby cars provide more options and versatility to get the most out of your rides. RC cars either have a brushed or a brushless motor. Brushed motors are far more cost effective while brushless motors provide much better speeds. When choosing between on and off road, ask yourself: Where will you the car be driven? Around the house, in the driveway, or on a sandy track? How big do you need the car to be? For beginners and small children driving them around the home, smaller, ready-to-ride models will be perfect. For the hobby enthusiasts, bigger build-your-own or ready-to-ride cars are great to race. RC cars can either be two-wheel-drive or four-wheel drive. The former are a lot more cost effective and require less maintenance. The latter offer better handling and when the feature is added to off-road cars it makes for better obstacle handling. Choosing a well-known brand with easily accessible replacement parts will ensure you can easily replace and add on to your car when needed. RC Trucks are not classified as cars but worth mentioning for buyers looking for the best off-road options. Handling the toughest terrain, they are efficient dirt roads cars that can handle grass and woody areas like pros. AZ Importer: Since forming in 2001, AZ Importer imports and manufactures a host of RC vehicles and educational toys. CIS: With 25 years of experience in the RC vehicle supply field, CIS aims to bring quality products to consumers at more affordable prices. Hot Wheels:Hot Wheels is an RC car brand produced by Mattel, a leading toy company known for quality products. Maisto: Since the 1980s, Maisto International Inc. has been manufacturing quality RC cars, aircraft, and motorcycles.